Highly functional and visually appealing, we can create a design which we’re confident you’ll absolutely love. Are you looking for a landscaping business that can build retaining walls in Bendigo? Look no further than the team here at BlueStone Landscape Construction. Whether you are looking at installing a timber or concrete retaining wall that is purely for looks or to serve a functional purpose, we can successfully cater to your needs with our wide range of options. We’ll happily take on all jobs big and small and ensure each wall has been structurally engineered. As every property is different, so too will be the wall you will need to suit your space. We tailor our services to suit your area, your preferences and your budget to ensure the final product exceeds any expectations you had. To effectively match your space, we also use a range of products during construction for the perfect look. 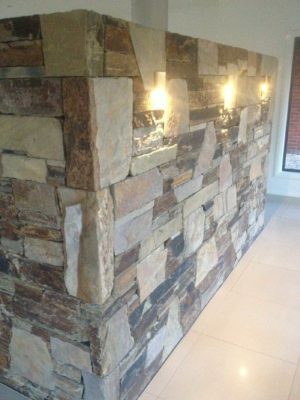 We allow our clients to choose between timber, concrete, brick, block or natural stone. Our structural landscaping team are registered building practitioners and can tackle a range of projects, including irrigation and paving services. Whether you simply required a single concrete wall to be installed, or were looking to redesign your entire backyard, we have the resources and the expertise to offer an end-to-end solution. Consider adding a water feature to complement your newly installed turf and create an immaculate little get away for you and your family. To take a look at the great results we achieve for our clients, please take a look at our photo gallery, which features images of some of our projects. If you would like to discuss the options for your property with one of team members, would like to organise a booking or to request a quote for your project, please call us on 0400 078 913.